The Indian team held China to 0-0 draw in a match played between the two countries after a gap of 21 years in the international-friendly football match. 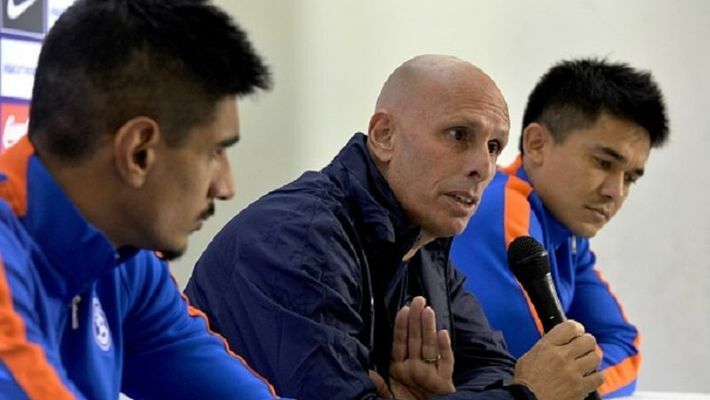 Suzhou: India head coach Stephen Constantine said his team may not match the quality of top Asian sides but it has developed into a "very difficult one to beat" after the draw with China. "Congratulations to all the players. Five of them who ended the game are U-23 players and two who started were U-23 players as well. That's my policy to develop young players and give them more opportunities," he said. "Our shape was very compact. The distance between the defenders and the mid-fielders was tight. We didn't allow much space to our rivals.